« They Vote For You – What new policies would you like to see? Firstly, thank you for visiting They Vote For You! We currently have over a hundred policies that you can use to explore how your representatives vote on particular issues. But what if something’s missing that you really care about? And why isn’t it there already? Anyone can create a policy on They Vote For You – including you! Or you can send us a suggestion. Right now we’re actually on the hunt for new policy ideas and would love to hear from you. So if you do have a burning issue you think should be on the site – no matter how big or small – please let us know via email, Twitter or Facebook by Monday 22 August 2016, before our new Parliament begins sitting. 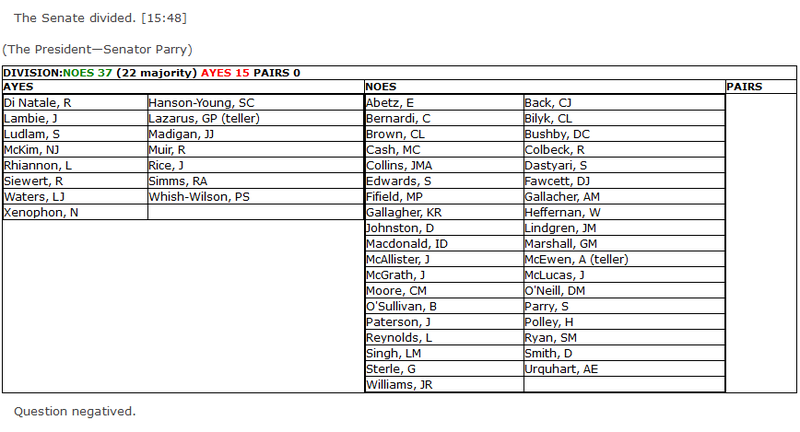 In our Federal Parliament, only formal votes (known as divisions) are officially recorded. These are votes where our politicians divide themselves into two groups on either side of the chamber: one side for the Yes (‘Aye’) voters; and one side for the No voters. Each politician’s name is recorded along with how they voted. We use this data on They Vote For You. Unfortunately, most votes in Parliament take place ‘on the voices’, which is when our politicians shout ‘Aye’ or ‘No’ and the group shouting the loudest wins. During these votes, no names are recorded so there’s no way to tell how each politician is voting without watching them all closely. With no official data on these votes, we can’t include them on They Vote For You. We think this is a serious problem and have raised the issue in a recent parliamentary inquiry, arguing that citizens can’t properly hold their representatives to account without their entire voting record. Unfortunately, this is how things stand at present. Australia has a federal system, which means that some issues are the responsibility of our Federal Government, like higher education and security, and some are the responsibility of our various State Governments, like primary and secondary education and health. 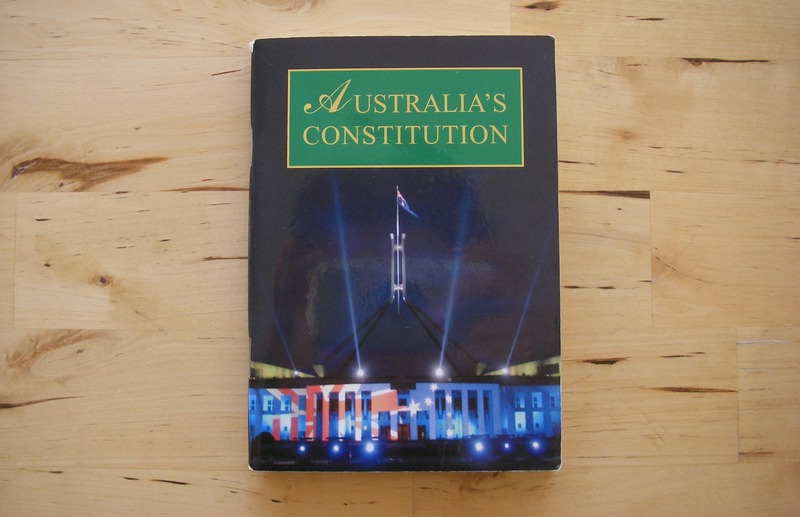 The Australian Constitution lists what areas the Federal Government can make laws on and everything else falls under state responsibility. Occasionally the Federal Government does make laws on state issues, but only if it gets permission to do so from our State Governments – which isn’t easy. You won’t find any policies on They Vote For You on funding hospitals or building more state schools, because our hospitals and state schools are controlled by our states. But since our federal system is complicated, don’t let it stop you from making suggestions! Even our politicians get mixed up sometimes and try to make laws outside of their areas of responsibility. So suggest away! We look forward to hearing from you. It’s quite rare for the Federal Government to actually pass laws on subjects outside of their areas of responsibility (as defined by the Constitution), but the issue does come up occasionally. One of the cases that budding constitutional lawyers have to study on this issue is Murphyores v Commonwealth (1976) 136 CLR 1, a High Court case that looked at the limits of our Federal Government’s trade and commerce power. This entry was posted in OpenAustralia Foundation, They Vote For You and tagged divisions, Federal government, Federal parliament, Parliament, Policy, state government, votes, Voting. Bookmark the permalink. Post a comment or leave a trackback: Trackback URL.